Rick Platt: 40 Years Ago. . .
40 Years Ago. 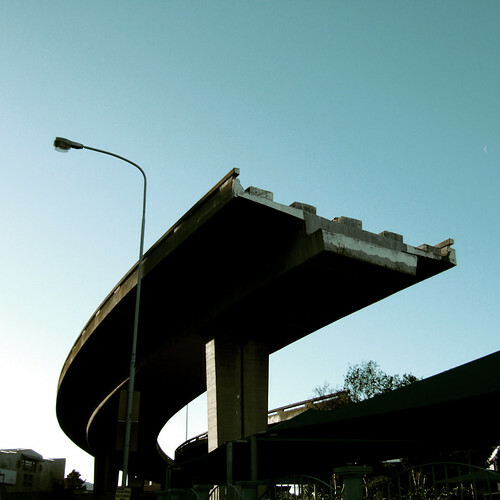 . .
. . .Our Interstate highway system was far from finished. In fact, Interstate 70 wouldn't get finished in Ohio until 1976. In fact, in 1971, there were still 171 miles of interstate highway system yet to be finished in the state. I'm preparing to give the introduction of keynote speaker Joel Kotkin next Tuesday for the Licking County Chamber of Commerce Annual Awards Dinner. Kotkin's remarks will share a vision of America in 2050 from his book, The Next Hundred Million: America in 2050. I think it's illustrative to look back 40 years and understand what happens over a 40 year span. There wasn't a single Walmart store in Licking County or in Ohio in 1971. Today, Walmart is the largest employer in the state. They are also the largest buyer of goods and services in Ohio, buying over 3% of our state's GDP annually. The Licking County population was 107,799. In the 2010 Census, we are 154% of that number in population. In 1971, Central Ohio Technical College had just opened its doors in Newark. C-TEC, our local vocational school and adult training center, had yet to open its doors. I can't imagine what our local economy would look like, today, without either one of these places doing what they do. What will the population of Licking County be at in the Census of 2050? What will our infrastructure requirements be over the next 40 years? What will our employers' educational and skills training needs look like in 2051 and in between? Infrastructure and skills training are still a part of our future 40 years as much as they have been of our past 40. Of that, we can be sure.